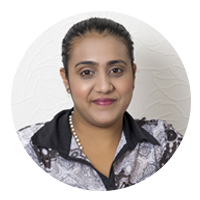 Established in 1994, Pro Appointments is a multi-award winning recruitment agency, focusing on supplying temporary and contract staff, as well as offering a labour brokerage and payroll administration service to many of Durban’s finest companies. We focus mainly on the Greater Durban area and our biggest clients are in the fields of retail, call centre, production and manufacturing. Our reputation is based upon solid relationships and an understanding of our clients’ needs. We have a large database of interviewed and screened candidates who are available at short notice to work in a variety of temporary and contract positions, including reception, switchboard, administration, data capture, call centre, retail, production and stores. Pro Appointments is managed by the owner, Cindy Norcott, who is also the chairperson and founder of the Robin Hood Foundation, a non-profit organisation that helps the poorest members of society through a variety of community projects. With more than 25 years history of staffing excellence, Pro Appointments offers the assurance of customer care, efficient service and professional standards. With more than 25 years history of staffing excellence! Cindy Norcott is the Owner and Manager of Pro Appointments and she is hands-on, leading a team of dynamic, motivated consultants and support staff. 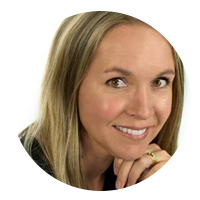 Cindy has a Social Science degree and she is a qualified business coach and a well-known business personality. Cindy has a heart for the poor and she is also the founder and chairperson of the Robin Hood Foundation, an NPO that runs many charitable projects. Cindy has won many awards for business excellence as well as her contribution to the community. Cindy was awarded the Small Business Marketer of the Year award by The Marketing Federation of South Africa in 2003 and in the same year, she was nominated as one of the 29 Awesome Women of the Year by Cosmopolitan magazine. Cindy was also named the Regional Winner of the BWA Entrepreneur of the Year competition in 2003. In 2004, Cindy was awarded the title of Sanlam’s Business Owner of the Year for May, in conjunction with SABC’s 3 Talk. In 2008, Cindy was given a Paul Harris award by Westville Rotary for her work in helping the poor. In 2013, Cindy was awarded the CEO Communications Most Influential Women in Business and Government award for the services category. In July 2015, Cindy was voted as the Lead SA Sunday Tribune Local Hero for KZN”. Cindy is an accomplished motivational speaker and she has a selection of 20 motivational and inspiring talks that she does for conferences, business meetings and womens’ groups. Cindy is an author of an inspirational business book, titled “How to be Unstoppable and Achieve more in Business and Life”, which was launched in March 2014. 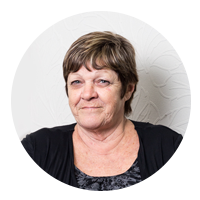 Pat has been working at Pro Appointments since 1998 and she is our payroll administrator. With her calm approach and her attention to detail, Pat is a valuable member of the team. “The reason I love working at Pro Appointments is that we have such a warm caring environment where everyone helps each other, enabling each other to provide a great service to our clients and candidates”. Judith is the Bookkeeper at Pro Appointments. Judy has a BComm degree and she has just over 5 years experience in administration, client services and accounts. Judy is calm, patient and always willing to go the extra mile. Hazel has 18 years’ experience working in the recruitment industry. Hazel has worked for 4 recruitment agencies before joining Pro Appointments. Hazel is very warm, welcoming and friendly and she embodies our motto of having a heart for people. Hazel manages our typing of cv’s, conducting reference checks and greeting clients and candidates.